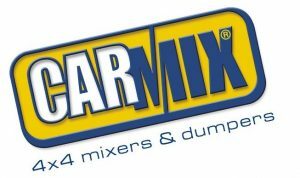 CARMIX SOUTH AFRICA, which is the official agent for Carmix 4×4 off-road self-loading mobile concrete mixers and ten tons bi-directional dumpers. This unique equipment can be described as ‘self independent mobile batching plant’ that loads (and weighs) all the materials itself (water included), mixes and delivers concrete wherever and whenever required. Thanks to its reliability & versatility, CARMIX is selected for any kind of job site: residential, industrial areas, hotels and resorts, low cost housing, road maintenance, dams, tunnels and remote areas.